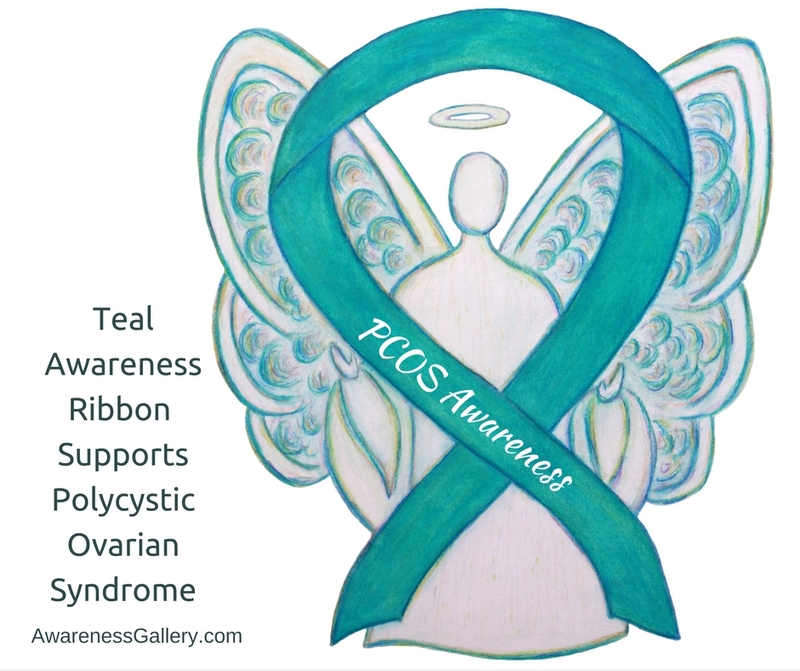 The teal green ribbon color means support for Agoraphobia, Anxiety Disorder, Dissociative Identity Disorder, Food Allergies, Fragile X Syndrome, Myasthenia Gravis, Obsessive-Compulsive Disorder, Ovarian Cancer, Cervical Cancer, Panic or Stress Disorders (PTSD), Polycystic Ovarian Syndrome, Polycystic Kidney Disease, Sexual Abuse, Sexual Assault, Substance Abuse, Batten Disease and Tourette’s Syndrome (TS). 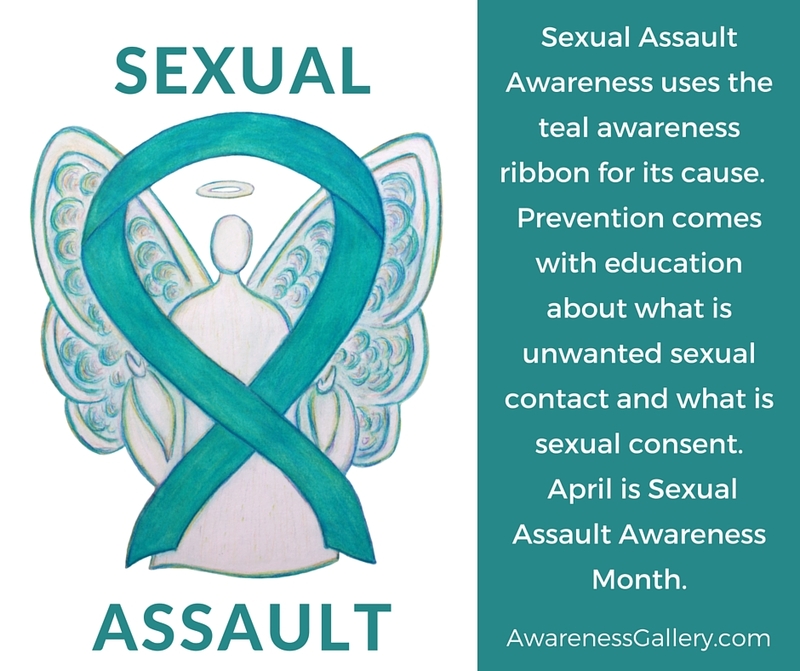 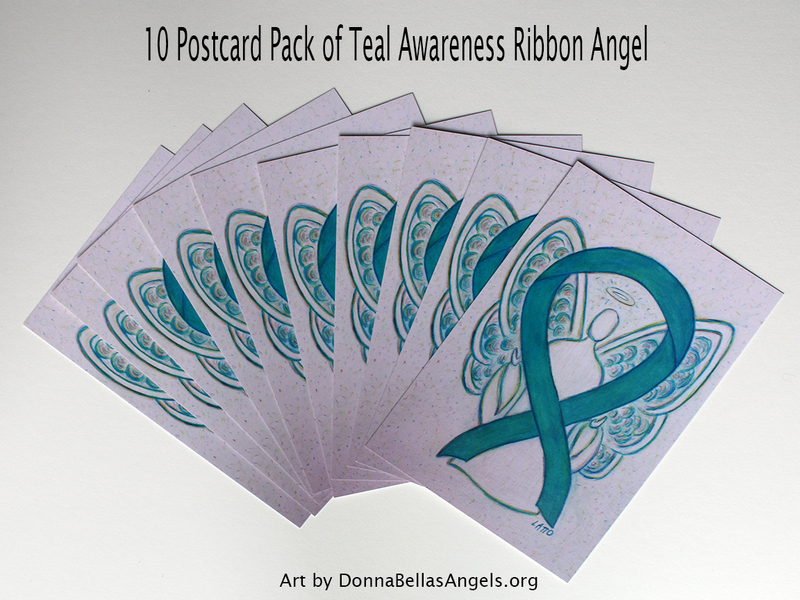 Let this teal ribbon help bring awareness to these causes! 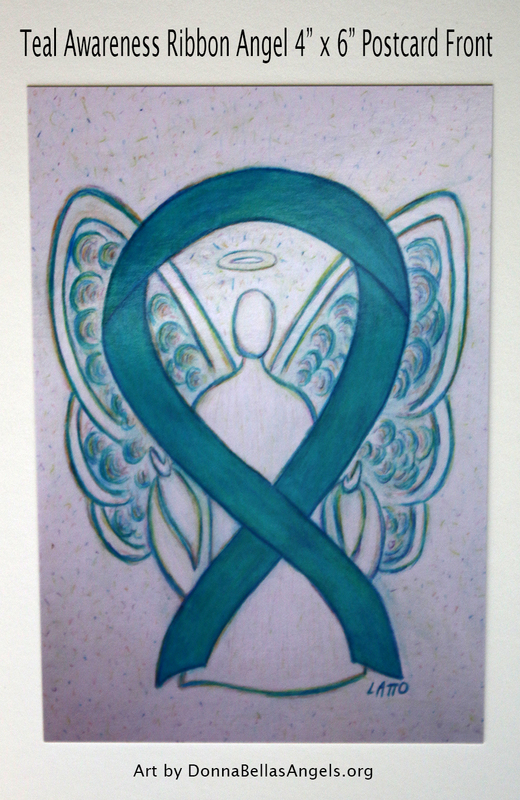 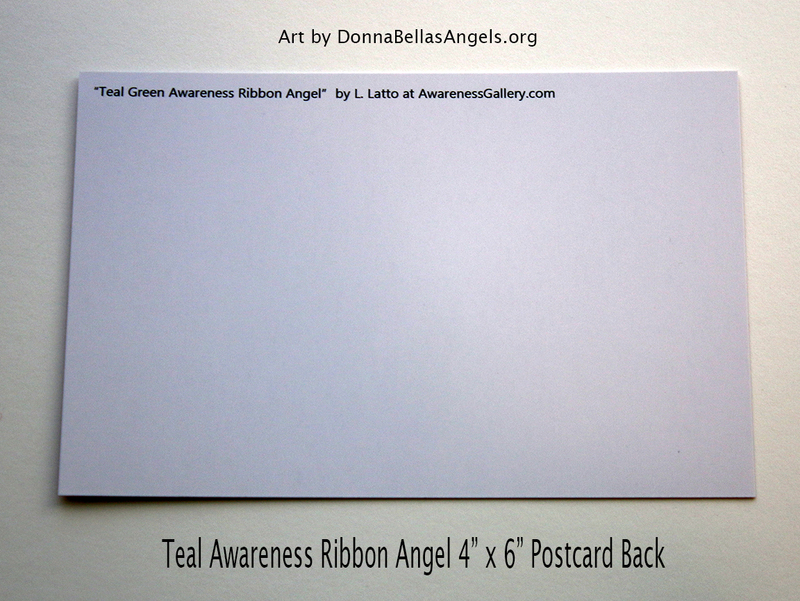 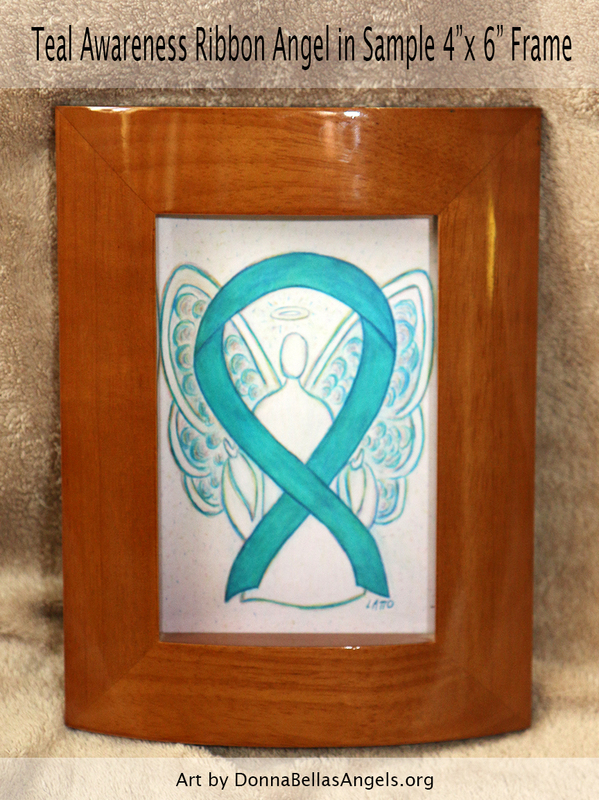 Art card shows an angel holding a awareness ribbon. 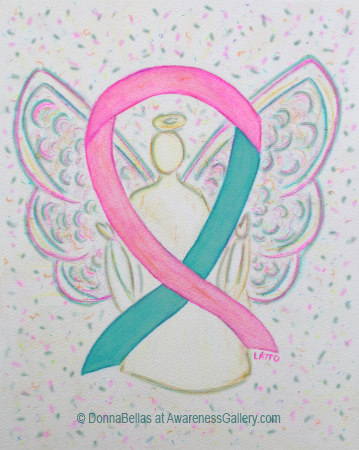 Painting was rendered with watercolor pencil on paper. 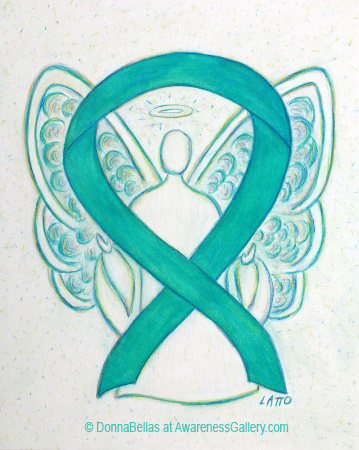 The ribbon means support for Agoraphobia, Anxiety Disorder, Dissociative Identity Disorder, Food Allergies, Fragile X Syndrome, Myasthenia Gravis, Obsessive-Compulsive Disorder, Ovarian Cancer, Cervical Cancer, Panic or Stress Disorders (PTSD), Polycystic Ovarian Syndrome, Polycystic Kidney Disease, Sexual Abuse, Sexual Assault, Substance Abuse, Batten Disease and Tourette’s Syndrome (TS) awareness to name a few. 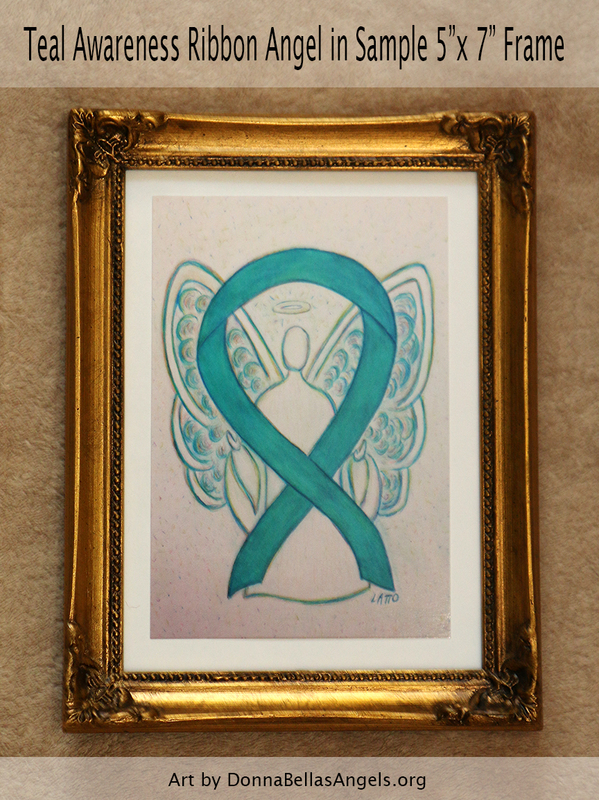 Let this teal awareness ribbon be support of them and the other awareness causes that use the teal ribbon color!